Had wifi on yvr-yow recently. Just tried the WIFI on the plane from St John's to YYZ. The speed was okay but not fast though. The prices are affordable but hoping to get a lower rate. Booked to fly to Sydney via Singapore in February and wondered what the chances are that the 777 might have wifi? sorry, are you flying YVR SYD SIN and wondering if the YVR SYD flight would have wifi? Or SIN SYD YVR? So which 77W fins have Wifi? Also,does AC actually charge for wifi for J on TPAC/TATL routes? Gogo expects that users of this pass will typically experience download speeds of 3-22Mbps for the first 240MB downloaded within an hour, and upload speeds of 250-500 Kbps for the first 20MB. [...]400 Kbps-2Mbps for the remainder of the hour [...] [and] uploads speeds of 100-200 Kbps. Gogo expects that users of this pass will typically experience download speeds of 3-13Mbps for the first 120MB downloaded within an hour, and upload speeds of 250-500 Kbps for the first 20MB. [...]400 Kbps-1Mbps for the remainder of the hour [...] [and] uploads speeds of 100-200 Kbps. GoGo ATG issues during the past week or so? Has anyone been having issues connecting to the ground using GoGo on the narrow body aircraft? For the past week or so, I have noticed a regular issue with the authentication portion of the connection process - to the point where using GoGo on Rapidair flights was pretty much pointless, since there is only about 35 or so minutes flight time where Internet access is useful. Turning what on and off? Yes, and I've got an open ticket with a contact there for it that you've reminded me to follow up on. The issue is buy.gogoinflight.com, which is where you are being redirected when you click on login, or one of the packages. It resolves, but the server isn't responsive. It seems like their settings aren't properly allowing the traffic through much of the time. Yes, I had that issue for about 50% of my EYW flights. It would take 30-120 minutes before it would start working. I was on FIN 742 yesterday (AC31 YYZ-PEK) and noticed Wi-Fi equipment near door L1. I was able to connect to the Gogo portal (gogoinflight) but could not access the internet at all. Of course, most of AC31 is outside of the coverage area but I'm not sure if AC intends to wait until all FINs are equipped or they plan to do a gradual rollout. 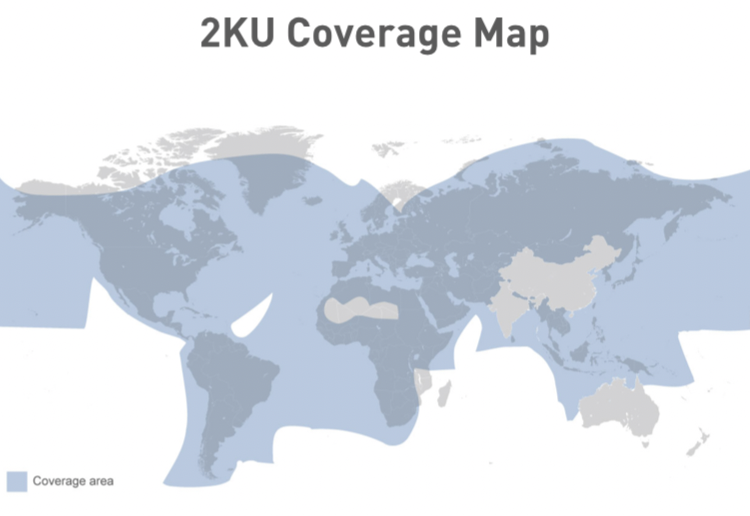 Anyway, one thing the Gogo portal showed is the coverage map which I thought was worth posting here. Interesting that China, India and Australia are completely excluded. When the coverage follows international borders that closely it looks more like a regulatory issue than a technical one. In-flight wi-fi in India is not allowed as per the government. Indian security agencies are not convinced it is safe. Airlines who have wi-fi must turn it off while flying over India. FIN501 at YYZ earlier today.